Allow your customers or staff to experience the convenience of automatic flushing urinals, while eliminating the spread of germs and providing a cleaner environment in commercial bathrooms. These sensor activated flushometers from Sloan automatically dispense water when the user walks away, or with the click of a button for a manual flush. Convert your traditional urinals today with the Sloan Optima Plus for top spud urinals. Buying the Sloan G2 Optima Plus flushing valve for urinal facilitates the preservation of toilet sanitation. Instead of considering it as a liability, business owners must take into account the ultimate benefits of modern flushing systems for toilets for their maintenance and utilities. And there are many advantages of installing the Sloan G2 Optima Plus Flush Valve for urinal that should be considered. 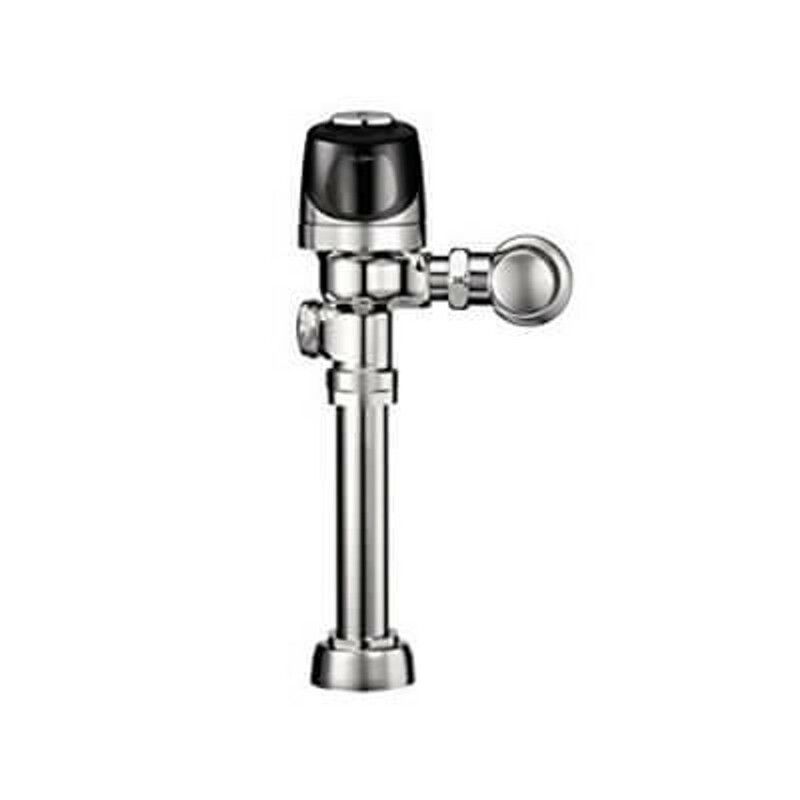 The most remarkable thing about the Sloan G2 Optima Plus flushing valve is that at appropriate times they provide presentation and cleaning of the urinals. These automatic flushers are equipped with infrared passive sensors that recognize if someone is currently using urinals before the system turns off the flushing system. Thus, the urinal is cleaned without losing water. The initial investment in automatic washing units includes only the initial purchase price. In addition, there is no need to replace any parts of your existing flushing valves. You can install these devices as fast as 1 minute, or simply by two simple installation steps - this means that you do not need the expertise of a professional plumber to do all the work for you. Sanitation is always a concern for many clients who care about their health. Automatic washing devices extend the life of your urinals. You could not really blame people if they did not touch the handles of a flush. For some, it is common practice to kick the flush handles that can really break or damage your urinal units. That's why handles for flushes are not always an effective choice for your urinals. The installation of the urinal flushing valve does not require a change in the plumbing. It is installed from the outside and is a quick and painless procedure that does not take much time and does not require the shutdown of water. The urinal has a battery-powered sensor. Batteries should be changed every 2-5 years, depending on the frequency of use. Changing the battery - it's a simple matter - as simple as replacing the battery with a child's toy. Once you install it and configure the sensor, it will work by itself. The sensors can be adjusted for flushing at regular intervals or by detecting presence before the urinal. When it comes to servicing valves with a self-powered battery operated the flush valve, it takes about three years before the batteries require replacement. Blocks of valves with battery power Sloan are available in chrome finish with four AA batteries. They are designed to consume less energy. A flexible tubular diaphragm helps reduce the maintenance of the device. This product also has a 3-second flush-back delay using the latest technology that controls the accuracy of the flush.